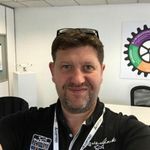 Steve Coulson is the Founder and Managing Director of COPTRZ, a UK based business specialising in providing drone detection solutions to protect public and private sector organisations from the threat of illegal drone use. COPTRZ are proud to be a DJI Enterprise partner and the only UK provider of the world-leading AeroScope counter drone solution. The company currently enables the drone strategies for a host of public safety organisations including Air Accident Investigation Branch, Devon, Dorset & Cornwall Police, Defence Forces Ireland, West Midlands Police and Police Scotland. COPTRZ are passionate about increasing airspace safety amid the increasing number of drones taking to the skies above high-profile events and festivals.